How is that for a mouthful of a title? It was still dark when my alarm clock shattered my dreams that morning of August 14, two weeks ago. I was out the door of the Grey House high on Conifer Mountain by 5:20. By 6:30, I could see the castle with its red-lighted beacon silhouetted against a cloudy dawn. As I approached the Westminister destination, I stopped, got out of my SUV, and unlimbered my legs so I’d be ready to sit down for the two-hour broadcast. Afterwards, as I walked up the time-weathered steps, dawn’s gilding paintbrush gave the castle an otherworldly glow. Inside, all was already in progress for “The Breakfast Table Show: table-in-the-round, headphones and mikes, cups of steaming coffee, Roy Hanschke and Gordon Scott,–glaringly absent: Denise Washington Blomberg—, and an empty chair for me. How often, over the years had I thus joined this precious circle! Fortunately, Denise would be back; but I gained a renewed sense of the fragility of life when Roy later shared with me the story of the dark days and nights when cancer came way too close to ending his part of the morning broadcast. I thought back to the day in March when the station celebrated 85 years of broadcasting of KPOF Denver. 85 years under the same ministry ownership sharing the same gospel message. My thoughts drifted back even further, as I looked out the turret windows, to the days when the castle was a stagecoach stop. Yet here it still was, an anachronism when compared to the steel and glass skyscrapers just waking up to our southeast. My reveries were abruptly terminated by a motion from Roy: In seconds, the commercial would end, and we’d be on the air. Ah the magic of radio! Still magical even in this age of nano-technology-driven instant obsolescence. 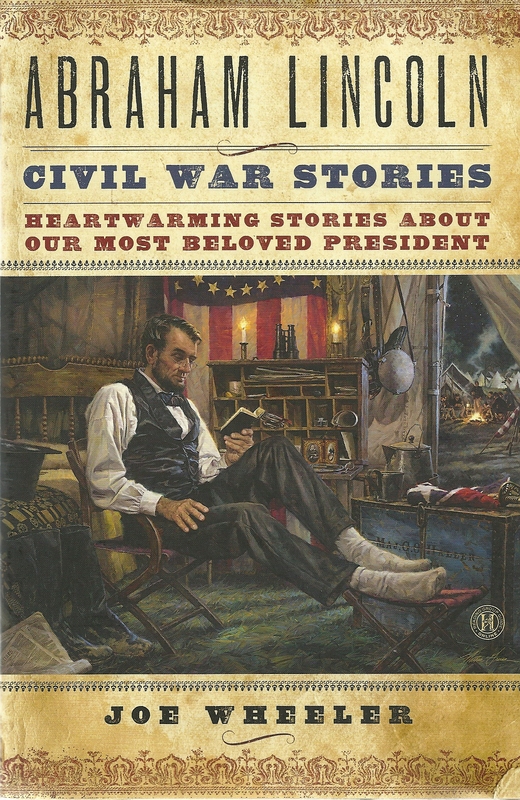 Once again, I was introduced to the listening audience–only, for the very first time, I was not here to talk about my latest Christmas in My Heart® book, but rather about my just-out Abraham Lincoln Civil War Stories (Howard/Simon & Schuster). It was also announced that, periodically during the two-hour broadcast, we’d be giving away copies of the book to listeners who called in when invited to do so. And, it was noted to listeners that I’d be sharing several stories with them each hour. Denise’s empty chair reminded me each time we missed her effervescent presence–which was every time we looked in the direction of that chair–how irreplaceable each of us is. For each of us is a one-of-a-kind: in eternity itself, there has never been, nor ever will be, another Denise, another Roy, another Gordy, another me, another you. Even without her, the old electricity re-ignited, having flared again and again during years past. 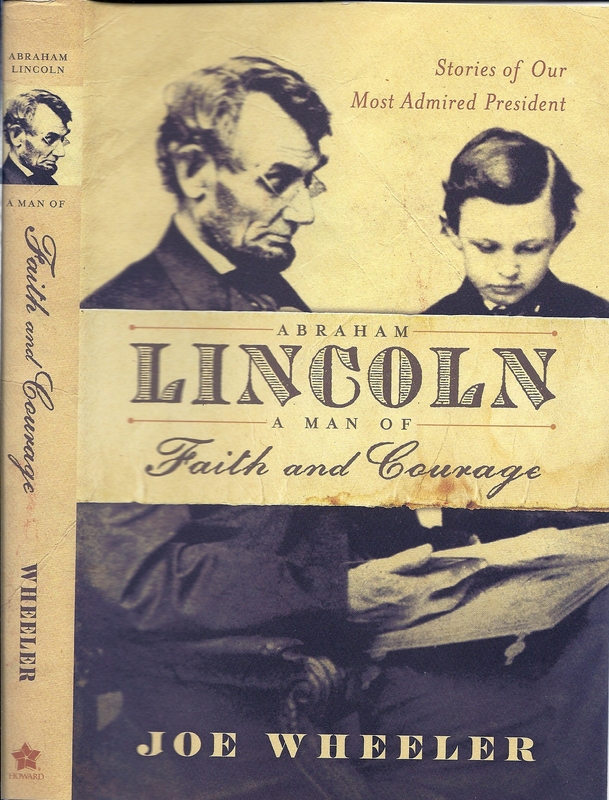 What one didn’t think of, another did: thus there were no awkward pauses, but rather a continuous flow of Abraham Lincoln, the gentle giant who still rules over our hearts–both in America and around the world. Every so many minutes, just before a commercial break, it would be announced that next, I’d be reading a story from the book–and so the conversational flow would stop: for “How Lincoln Paid for His First Book,” “Only a Mother,” “Tenderness in a Ruined City,” and “The Heart of Lincoln,” four of the shortest stories in the collection, yet each simple little story deeply moving in a unique way. Each revealing another dimension of America’s only Servant President: accessible to all, be it a broken-hearted little boy, a shy little girl pleading for her brother’s life, a dying young man in a makeshift hospital, or a young Confederate wife and baby in the still burning city of Richmond who apprehensively opened her front door, only to see a tall gaunt figure standing there, who, to her stunned exclamation, “The President!” simply responded, “No, ma’am; no, ma’am; just Abraham Lincoln, George’s old friend.” [“George,” being the now near immortal general, George Pickett, who led the greatest charge in our history, Pickett’s Charge, in a losing cause at Gettysburg]. We could all hear the voices of listeners as they called in, overjoyed that I’d be personally inscribing their books. We’d also hear the voices of those whose calls were relayed in from the switchboard during commercial breaks. More often than not, calls from those who were deeply troubled about illness, privation, inner torment, each asking for intercessory prayers. It was at such times that I became more fully aware that this was not merely a commercial radio station, but rather a group of dedicated prayer warriors, each, from station manager, Jack Pelon, on down, committed to selfless service to all God’s sheep who looked to those inhabiting the Castle on the Hill as undershepherds to the Great Shepherd. All across the great city of Denver, they were listening to every word we spoke. I thought too, both then and later, about the station’s 85-years of daily struggling to remain alive in an increasingly secular age, especially in recent years when Christianity and those who believe in God are openly mocked by a society that has apparently lost its spiritual moorings. Every so many minutes, it would be announced that I’d be signing the Lincoln book at two locations that week: downtown Denver’s Barnes & Noble on Friday and Mardel’s Christian Bookstore on Wadsworth on Saturday. It would be at Mardel’s where I’d fully realize the power of KPOF’s spiritual ministry to the people of Colorado: All day they came, all but two there because they’d heard Wednesday’s broadcast, they loved Lincoln and yearned to learn more about him in the new book and in my earlier biography, Abraham Lincoln: A Man of Faith and Courage–, but mainly, they were there because they trusted those dear folk in the Castle they listened to so faithfully, day in and day out; spring, summer, autumn, and winter, year after year. And, because they’d heard me before, heard my voice breaking in deeply moving stories, they opened up their hearts to me, considering me also to be another undershepherd. What greater honor could there be? Furthermore, they were at Mardel’s because it was one of that dying-breed: an overtly Christian bookstore, courageously day by day fighting the forces of secularism determined to eradicate such spiritual holdouts as this one. After we’d sold out all the Lincoln books early, I debriefed with Dana Oswalt, long-time Mardel’s bookstore manager, about all I’d experienced. Since she’d tuned in to the broadcast herself, she knew they’d be coming. She now confessed how deeply moved she’d been by what she’d seen and heard at my booksigning table. But back to the Castle. All too soon, we took off our headphones, breathed giant sighs of relief that we’d made it through the two hours without a glitch–even without Denise. But mainly, we were almost incapable of speech because of the intensity of it all. Then G.M. Jack Pelon came in to thank us. Which led to some needed semi-comic relief. “Have you seen our owls?” His office, it turns out, is full of owl photographs he’s taken. Serendipitously, even though it was now day, several of the owls, high up the castle wall, blearingly peered down at us–but their owlet babies were evidently taking a nap so never got to see them. It is said that owls are wise birds. Judging by this family of owls that condescends to share their castle with its human inhabitants, it appears that they too can sense the calming, peaceful, yet energizing presence of the Great God of Us All in the rooms below.